JT has been nominated for telecoms, World Communications Award. The ‘Oscars’ of the telecommunications industry. Global giants such as BT, AT&T, Vodafone and Telstra have also been nominated for various awards. ‘Best Connectivity Solution’ is the category JT has been shortlisted in. The World Communication Awards is the largest awards ceremony in global telecoms. During a ceremony in London in November, the winners will be announced. Its ground-breaking Open Roaming M2M solution means JT has been shortlisted for the award. This is a managed IoT* network service which enables machines to communicate with each other via a mobile SIM card. The JT service is currently powering over a million devices worldwide. This includes payment systems in Africa to taxi and private hire firms in the UK. JT is also in the process of integrating alternative connectivity services into its platform including the Channel Island’s first LoRa** network. This is due to launch by the end of this year. ‘Open Roaming’ means that data can travel via any mobile network. Information, therefore, can travel down a multitude of routes and bypass any points of failure should they occur. Data isn’t ‘steered’ down a particular operator’s network. As, this can lead to device and connectivity problems. In some cases, JT’s Open Roaming M2M solution is literally having a life-changing impact. Last year, JT won a contract to supply SIM cards connecting heart rate monitors in patients to special monitoring equipment for a company in Canada. This provides a real-time information feed which has the potential to save lives. Over 34,000 patients have already been connected. Therefore, this one example shows how JT’s M2M Open Roaming solution enables a business to connect with its customers. So, even customers who are spread across an entire country, and deliver reassurance to patients that their health is monitored 24 hours a day. * Internet of Things: a network of devices, vehicles, buildings and other items which are able to connect with each other to collect and exchange data automatically. ** LoRa (LongRange): an advanced technology which allows ten-year battery life in a vast array of sensors for use in agriculture, smart buildings, smart cities and manufacturing. All of these provide cost savings and new efficiencies. The third annual National Coding Week, organised by Codex and sponsored by JT, will this year involve hundreds of events across the UK, Australia and the Channel Islands. Highlights of the Channel Islands event programme include the return of FREE coding workshops. This includes coding for the unemployed, in addition to careers advice sessions, Google Analytics workshops, craft and digital design workshops. There’s also a three-day Robot Challenge culminating in the first Digital ACE Robo-wars. Taking place from Monday 19th to Friday 23rd September, the objective of the Week is to encourage people to try their hand at digital skills. From learning the basics of coding and app development, to digital design and online marketing. All workshops are also delivered in-kind by industry professionals from the Islands’ leading digital businesses. Such as, Switch Digital, C5 Alliance, Codex, Cobra Coding, The Potting Shed , Web Reality and JT. Events are at a number of venues across the islands. They are supported by JT, Digital Jersey, Digital Greenhouse Guernsey, Barclays, The British Computing Society, The Guille Alles Library, The GTA and College of Further Education, States of Guernsey and the States of Jersey. JT Guernsey Workshop will take place on the 15th September 6, 2016, at JT’s High Street Office. JT Jersey Workshop will take place on the 16th September, 2016, at JT’s Grenville Street Office. National Coding Week. The week-long event offers adults an insight into digital industries. It is set to return for the third time in 2016. With events planned up and down the country, this will give adults an opportunity to learn how to write computer code. And potentially, open the door to a new career. 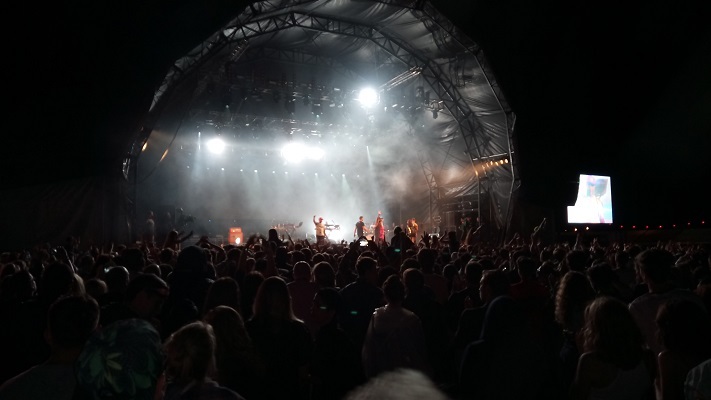 As the Island reflects on another successful Jersey Live weekend, including unforgettable performances from Richard Ashcroft, Madness and Disclosure; headline sponsor JT reveals the technology statistics behind the CI’s biggest music event. 169 GB of 4G data used over the weekend. Equivalent to uploading 114,937 photos to Facebook, 68,962 minutes of browsing the internet or 86,203 minutes of streaming music. Social media: Snapchat was the No.1 social media platform used by 917 different people. Tamara O’Brien, Head of Marketing for JT, said: “These stats tell the real story behind Jersey Live. Thousands of people gathered in one place, for the CI’s biggest music event and turned to social media to share their experiences in real-time. Getting the most from the technology we provided. There are big numbers here. We’re proud to have supported the demand for so much data over the weekend.